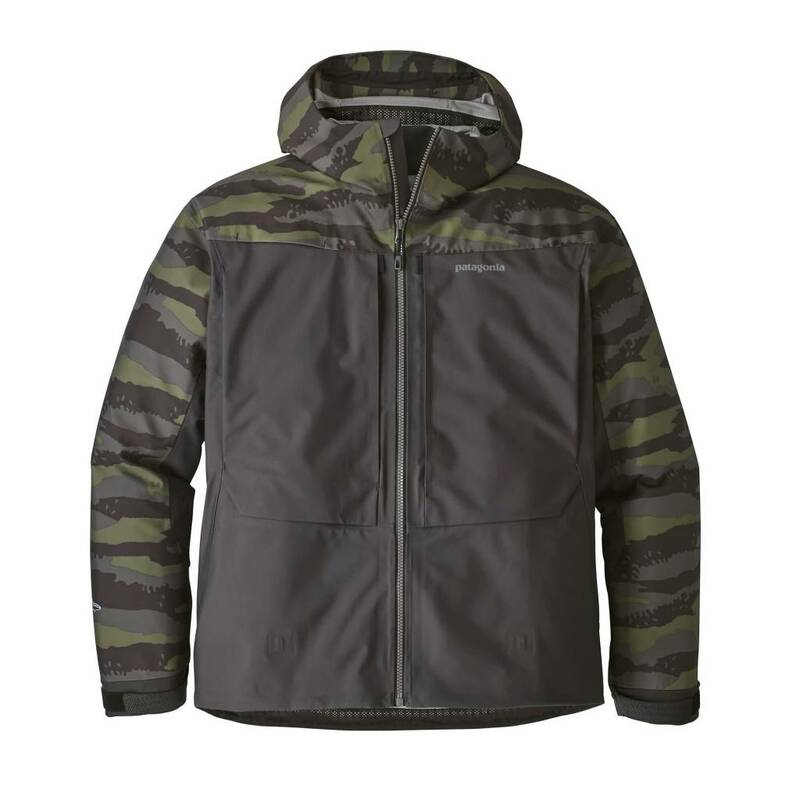 Interested in 'Rock Camo' color? 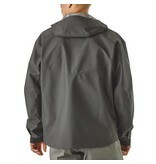 - Please contact us for next available date. 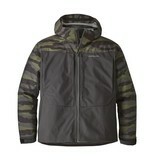 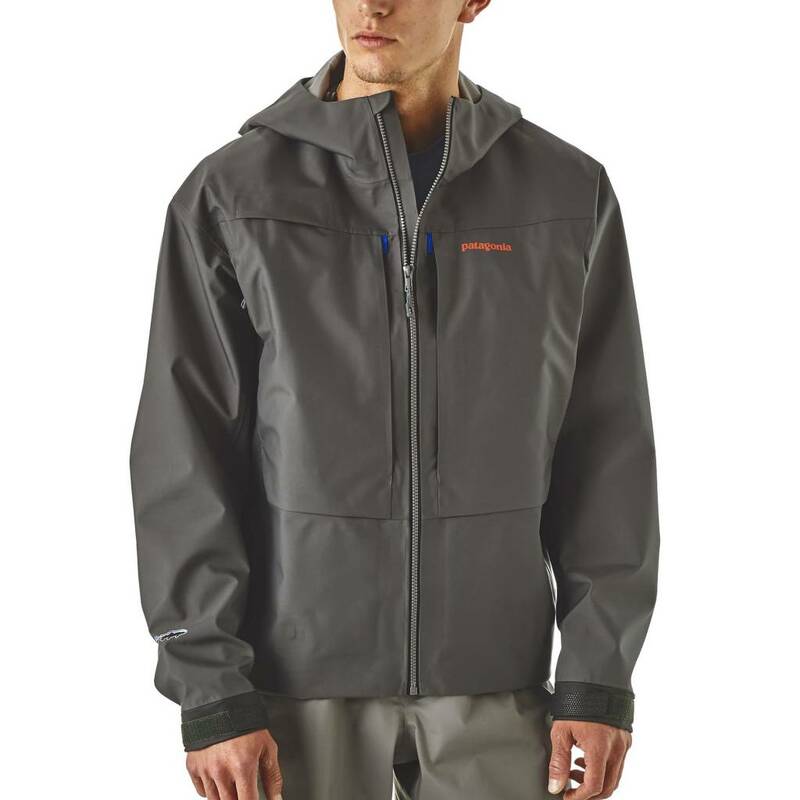 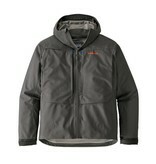 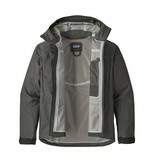 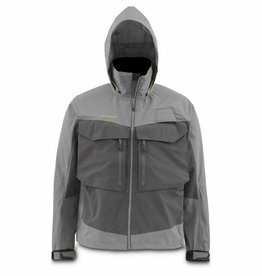 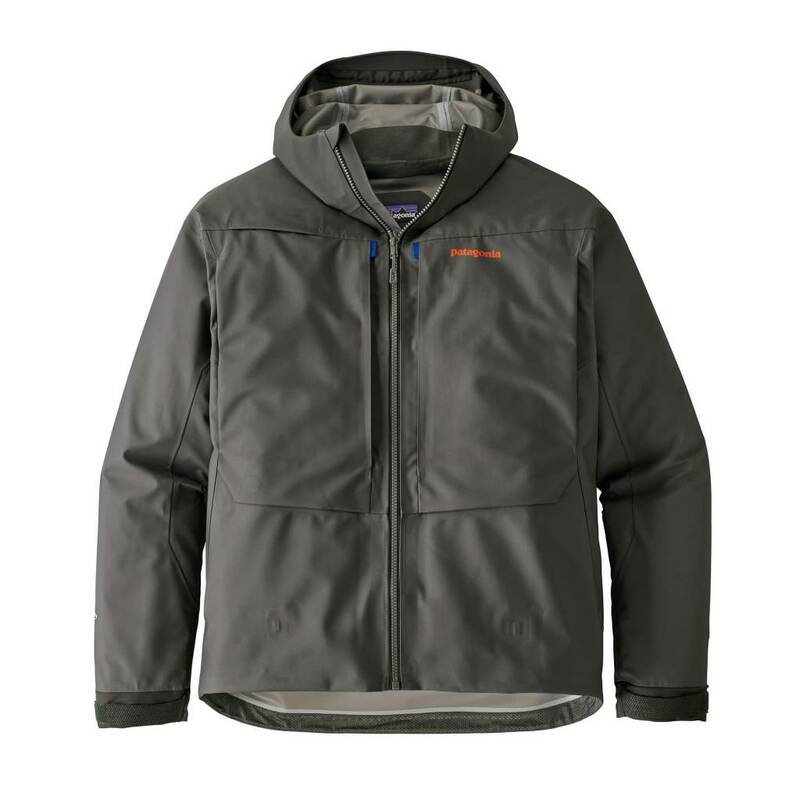 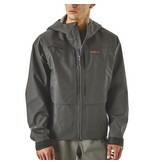 Patagonia's durable, newly redesigned River Salt Jacket stands up to rain, wind, salt spray and seriously hard use. 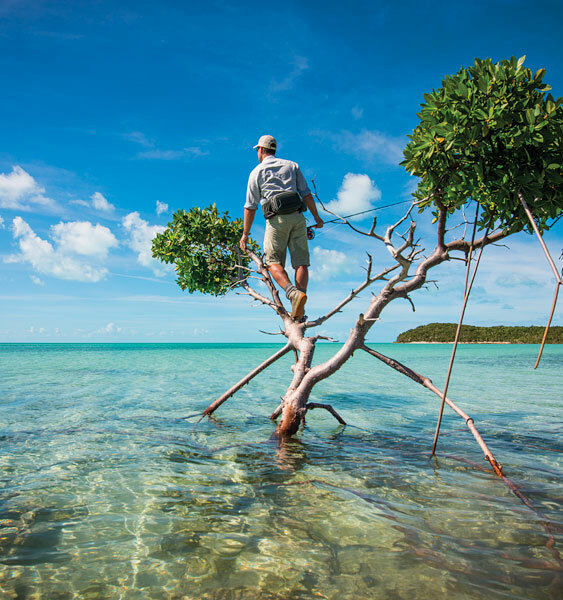 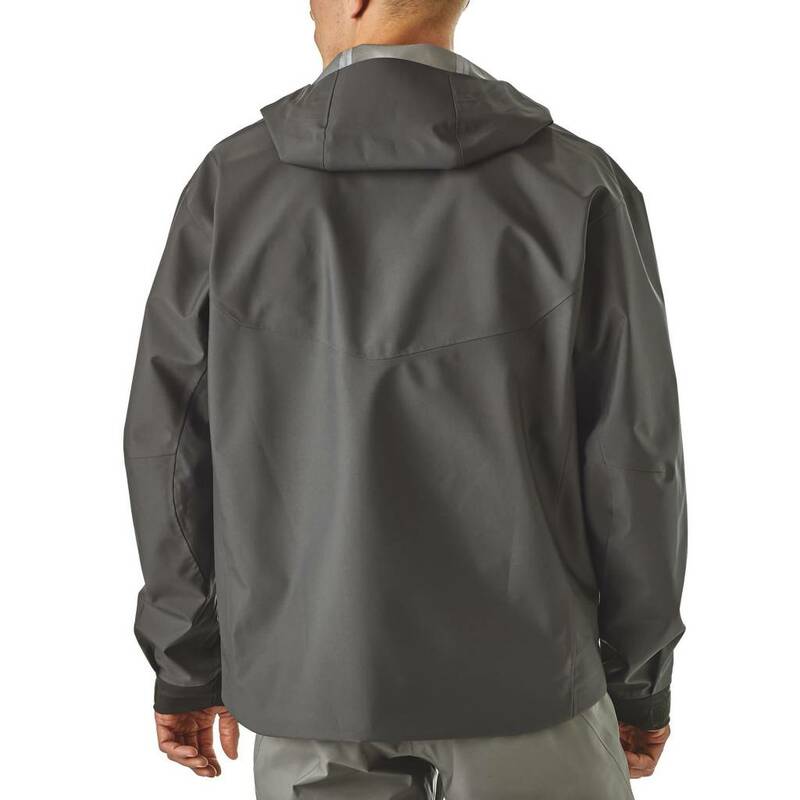 Made with ultra-tough H2No® Performance Standard 4-layer, 6.1-oz wader fabric with a waterproof/breathable barrier and a DWR (durable water repellent) finish, it’s the burliest waterproof/breathable fishing jacket on the market. 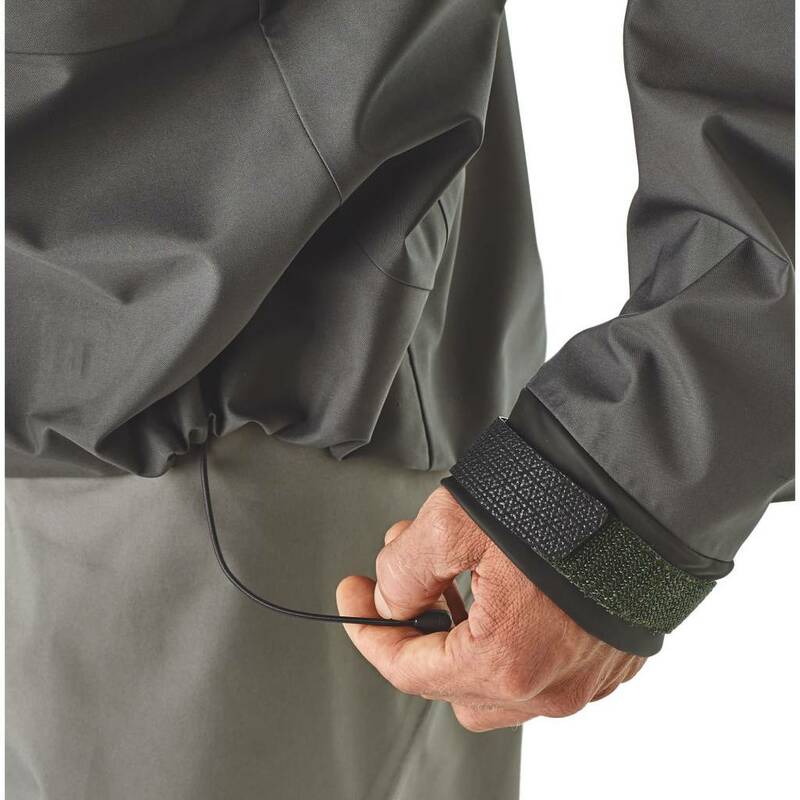 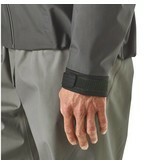 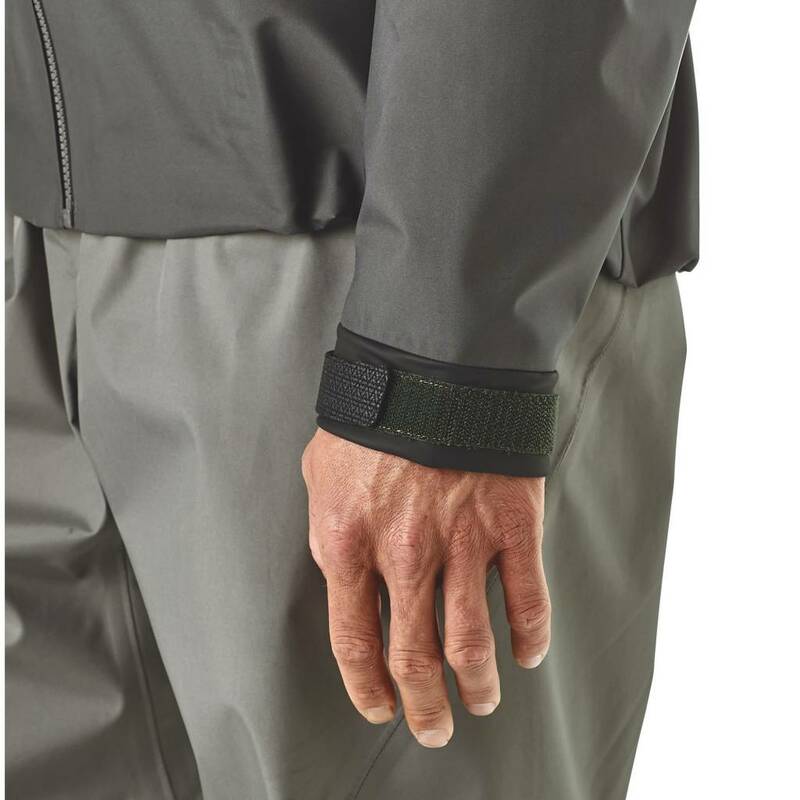 The waterproof, corrosion-resistant YKK® Vislon® Aquaguard® front zipper and watertight, adjustable cuffs seal out wind-driven precipitation; a new overcuff keeps line from catching. 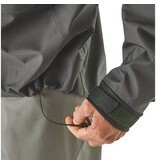 Two large, streamlined front pockets hold fly boxes, close with coated, water-repellent zips, lie flat when empty, and won’t snag flying line on the shoot; two cozy handwarmer pockets now feature zip closures to keep water and oar handles out; a zinger attachment on the left chest lets you keep small tools close at hand; an elastic drawcord at the hem has a mesh-lined casing that drains excess water. 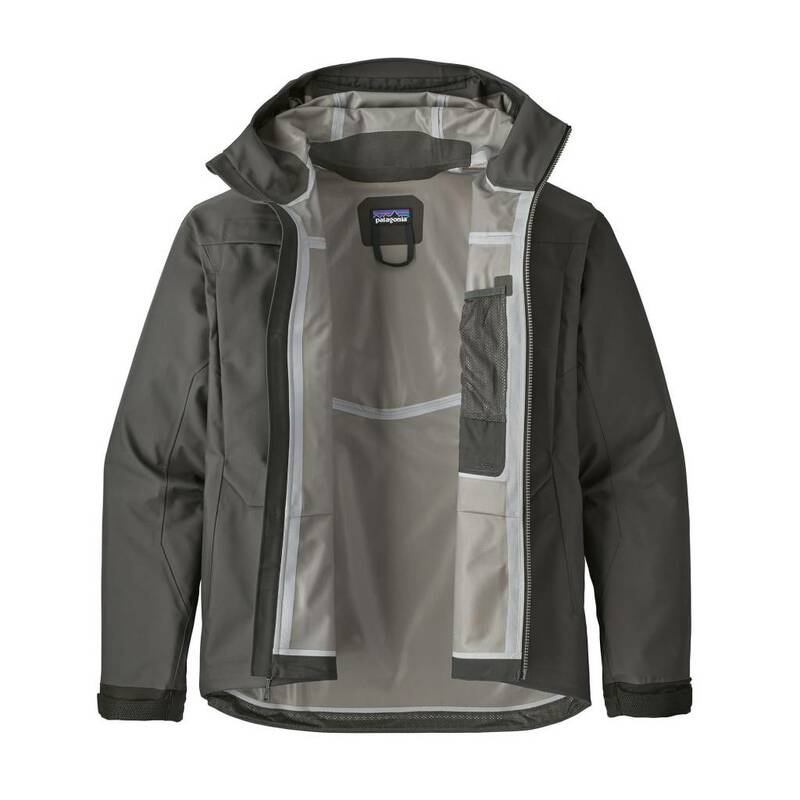 And when you have to crank up and run into the teeth of it, the innovative vented, single-pull adjustable hood stays in place at speed. 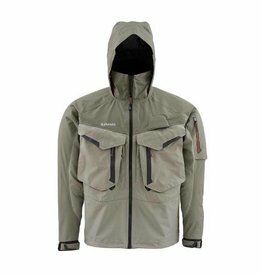 The River Salt is Patagonia's medium-length fishing jacket, with a hem 2½ inches longer than Patagonia's shortest fishing jacket, the SST.